Outside the window, it is rather gray and dreary. It's been raining and cold for the past couple of days. The grass still has a brownish hue. There are no green leaves on the trees yet. The sun is hiding behind the clouds, biding it's time before it breaks forth to warm the earth. But under the surface of the ground, there is a flurry of activity. Long-dormant bulbs and seeds break forth. Roots shoot into the depths of the soil. Gathering nutrients, the growing stem powers through the dirt and SPRINGS to greet the warm sun. This winter, and especially this month, there has been a lot happening behind-the-scenes here at RW. Several book review requests have been sent to the team readers. In the new team discussion platform, ideas are being passed around for expansion and possible improvements on the website (if any reader has some, please feel free to tell us!). And we are springing forth further into the social media scene. A few team members have done outreach to other writing groups through Facebook and YouTube, with wonderful results!! All of this would never have happened, however, without our army of supporters, readers, and contributors. For that, and all that you do, I thank you all most heartily! What Have We Posted This Month? This month, we posted 4 times - 3 related to writing and 1 related to reading. If you missed any of these posts, just click the post image! For our Rebellious Readers, Anna C.S. started this month off with a wonderful bang! Included on this post are mini-reviews of The Giver, Between Shades of Gray, The Lunar Chronicles, and The Inheritance Cycle series! Writing villains is often a weak point for a writer, no matter if the genre is a fairy-tale retelling or a dystopia. In this first part, Melissa Gravitis outlines how to give your villains a source of power - and not just political power either! 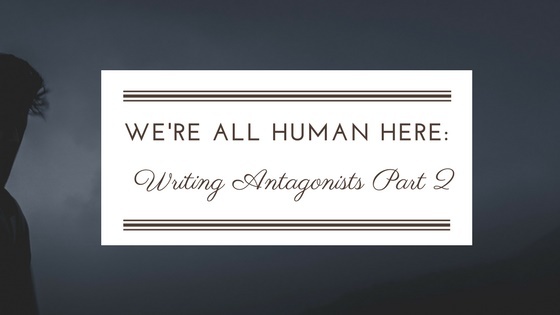 A common frustration for readers is the abstract antagonist - the ones which seem to discard their humanity. Returning for the second part of this series, Melissa Gravitis focuses on the second villain-writing struggle - how to make villains more human. Readers love it when a book resonates with them, especially emotionally. Taking the Christian rapper NF as an inspiration, Lila Kims gives tips on how to pack a punch with your writing! As mentioned in the introduction, that is only the tip of the iceberg for the activity that the whole team has done this month. Facebook still is our biggest single source of page hits (on desktop and mobile). A special round of thanks goes to Faith Thompson for taking the time to publish the post links! Melissa Gravitis and Audrey Caylin have tag-teamed to create this wonderful hub of encouragement for writers and readers alike. Thank you both for such being wonderful lights!! Lately, Anna C.S. has been posting some really awesome quotes and other bookish related images. They are wonderful works of art! Thank you Anna!! Our Pinterest page is slowly but steadily expanding with some new boards for writing help. Very many thanks goes to our leader Gray Marie Cox, for without her help, this account would not be updated nearly as much as it should!!! Our Goodreads page has been growing steadily with new readers and writers alike! Lately a lot of us writers have been sharing snippets from our current WIPs - and they are all writing GOLD. Seriously, go check them out! Besides sharing our posts, Lila Kims has been sharing content from RW authors and supporters, and doing an awesome job!! Thank you Lila! With Keturah Lamb at the helm, our YouTube Channel has become active again! Check out our first vlog below, and subscribe for future content! Thank you so much, Keturah!!! Once again, a round of applause for all the social media coordinators!! One of our followers, Amy @ A Magical World of Words, has written a blog series on Romanticized Abuse. Go check out her posts on Abuse Being Romanticized and Bad Boys, characters from works such as Twilight, A Court of Thorns and Roses, and Phantom of the Opera (my personal favorite of her posts) as well as other posts on TV shows, movies and other books! Along similar veins, R.M. 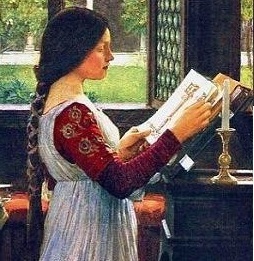 Archer recently wrote a post called "Why the Literary World Needs Better Romances (And How to Write Them)". This post is a wonderful inspiration for Rebellious Writers who are sick of the shallow and abusive portrayals of romance in the YA genre! Throughout the entire month of March, team members Gray Marie Cox, Lila Kims, Faith Thompson, Keturah Lamb, Catherine Hawthorn as well as RW follower Danielle (Snaps) @ Snapper, joined Order of the Pen writers Julian Daventry, Sarah Rodecker, Evangeline Diasimah, and Jem Jones in an epic 5-Part Writing Special, in which all published matching posts about their current Works in Progress! Recently, our beloved techy guru Abby has asked to step down from her position as Goodreads Coordinator for personal reasons. Hence, we are looking for a new team member than can take this role over. The only requirement that we ask is that the coordinator has a Google and a Goodreads account. Preference will also be given to those individuals between the ages of 15-25. Duties will include: moderating all Goodreads discussions, expand the Goodreads group and RW influence on GR, coordinating with the Book Scout Coordinator (myself), and participating in team discussion and volunteering for admin posts. Time commitment is about 2-5 hours a week at the most. For more information or to apply, please email us at therebelliouswriting@gmail.com. Also, we are still looking for guest posts for this summer! 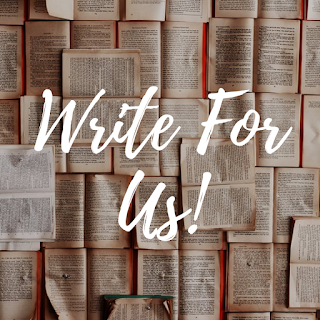 Please email us or use the Collaborate Form to submit your guest posts to us! Please take note that there is a bug in our Google Form that requires guest posters to fill out the Book Review section of the form before submitting. Just place 1 star for the ratings and N/A for the fields if you run into that. We've been aware of the problem for some time but haven't been able to address it as of yet (sorry!). Our battle is going well, but the war rages on. Fight on, dear rebels! Catherine Hawthorn is a writer in her early 20's that is in love with the traditions of the Catholic Church. Discovering in her teens that the creatures from her ever rebellious imagination had escaped to paper, she became an authoress. By day, she sings as she battles filth and immoral literature. By the firelight, she patiently mends plot holes and spins tales of historical fiction and fantasy You can sample her writerly creations and follow the mishaps of her characters on her blog, The Rebelling Muse. I LOVE your bio!!!! Super sweet!!!!!!! Camp NaNo... One of these days I need to do it.... I'm planning on the big event this November, brandishing sword without a fear (this might change if I discover that the "survival NaNo" stuff is real [which I know it is]). Yes, you should! Camp is a lot of fun - and I think a lot more flexible than regular NaNo. I'm also doing my first NaNo this November too - and I can't wait! Neither can I! Yes it was, I hope April is just as good! Thank you Keturah! Credit must go to Lila - she came up with the idea of spotlighting individual team member's posts on their own blogs on our first wrap-up, which then expanded in subsequent months. I agree, it tightens our community wonderfully! 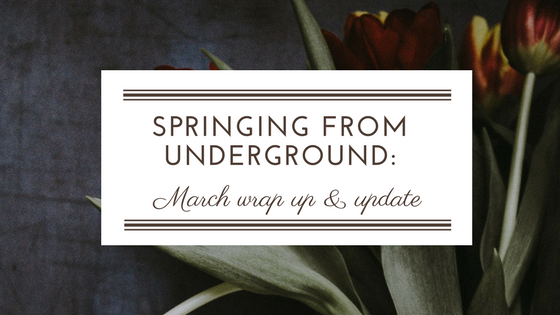 I love the style of this wrap-up post! Thank you R.M! And you're welcome! Thanks for linking it to my blog so I could find it :). It is so awe-inspiring to see this movement explode into the reading world. It makes my head spin too. Great Wrap-Up, Catherine! And good luck with Camp NaNo!